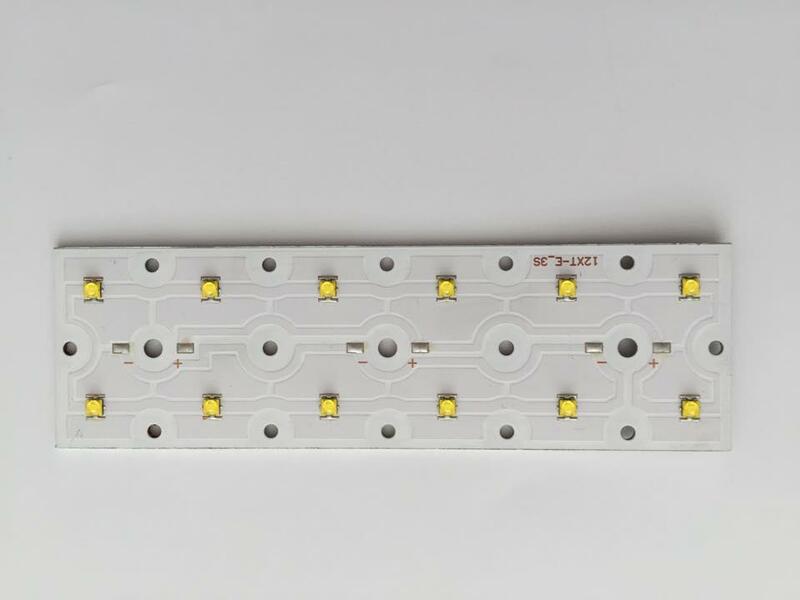 12LED Strada module with LEDs of the latest generation from the top chip producers in the world – CREE, SAMSUNG and OSRAM achieve maximum efficiency values. 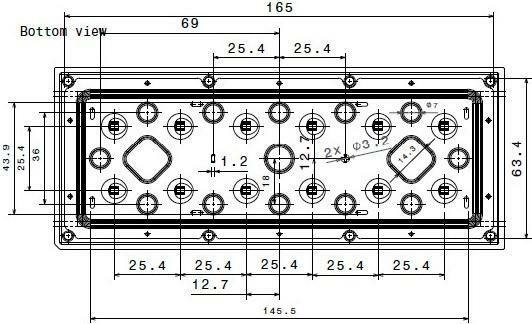 The modules have been specifically developed on high thermoconductive aluminium plate with extra thick copper. The product range covers colour temperatures Warm White 3000,Neutral White 4000, Cold White 5000K and 6000K and module efficiency of up to 193 lm/W. The module is driven by constant current. The design is improved for simple installation. The module covers three types of LEDs for most applications. This LED engine is compatible with LEDIL lenses family Strada IP – with the different angles to achieve all types of distortions. There is an optional thermistor for temperature control, TVS for extra overvoltage protection, WAGO connectors for easy wiring or option with soldered cables.